It’s more than just a day for hipsters to show their hipness by buying rare vinyl records. It’s a celebration of independent business. 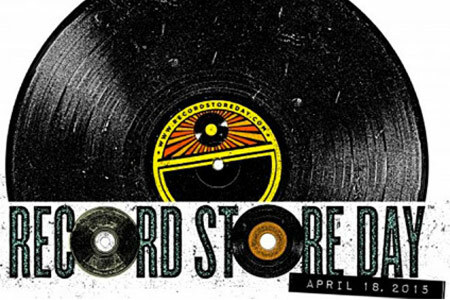 Today is Record Store Day. So, what does that mean? Back in 2007, Record Store Day was started as a way to celebrate the unique culture of the independent record store. Unlike the Hollywood depiction, not everyone who works at a record store is a curmudgeon who hates everything you like. These are people who quite simply love music beyond the ways that most of us do. They’ve dedicated their lives to propagating the goodness of recorded music in all it’s glorious forms. It is a lifestyle that has — like most of the music business — been on the decline in recent decades. However, the concept of Record Store Day means much more to me than the saving of a particular slice of the retail pie. It shines a light on the desolation of independent retail as a whole. I see it month after month here in Hoboken as small, mom & pop shops are forced out business due to insanely high rents and taxes. All for the dream of a landlord or city officials to score some chain-store tenant that may never come. Even some of the chain stores eventually run away screaming. The spirit of the American dream still touts the indie shops — whether it be music, food, furniture, clothing, whatever — as the heartbeat of our economy. Politicians will grandstand every election season on the merits of such endeavors. Yet I can tell you from personal experience that when the time comes for those same politicians to step in and help out a struggling small business they suddenly go quiet. I view days such as Record Store Day and Small Business Saturday as ways to save independent businesses. Because the only way the American economy will survive is if you and your friends and your family all get together and spend money at those businesses. Mega retailers don’t have the same immediate, positive effects that independent businesses do on local economies. Maybe we can create a special day for every type of small business. That would be amazing. In the meantime today, go find an independent record store, thumb thru the stacks, find a record you’ve always wanted (even if you didn’t realize you did) and buy it. Use cash (it helps small businesses a lot when you use cash). When you’re done, stroll around and find a local cafe. Get a bite to eat. Use cash. After that, maybe find a small clothing shop. Get that outfit in the window, you’ll look fabulous. Use cash. The bottom line is this; There are ploys that get you to buy crap you don’t need while hurting the planet and the people on it. And there are ploys that get you to buy a tiny slice of happiness while helping the planet and the people on it. And that’s what this day is. It’s far more than hipsters buying hip things. It’s a way to save your local economy.